Yet another doctrinal error is being promoted by ‘Fr. Reginaldus’ of the New Theological Movement blog, aka Fr. Ryan Erlenbush. On the question of the transmission of original sin, Fr. Ryan begins by stating the correct doctrine of the Church: “original sin is transmitted through human generation.” Unfortunately, instead of going on to examine the teachings of the Council of Trent and subsequent teachings of the Magisterium on original sin, he ignores those sources and draws erroneous conclusions based on the 13th century opinion of St. Thomas Aquinas. Since original sin is transmitted by human propagation (i.e. generation), a misunderstanding on the latter topic can easily cause a misunderstanding in the former topic. St. Thomas also did not understand the Immaculate Conception of the Virgin Mary (her preservation from original sin) correctly. So he is a good source on many topics, but not on original sin. Fr. Ryan errs on the topic of the transmission of original sin because he habitually treats the words of St. Thomas as if they could not err, and he habitually bases his theology, at the so-called ‘New’ Theological Movement blog, on theological ideas from the Middle Ages — with little or no regard for subsequent magisterial teachings and subsequent theological opinion. Fr. Ryan (aka Fr. Reginaldus) begins by accepting the error of St. Thomas that original sin is transmitted only from the father. First, it is not true that this idea IS the common DOCTRINE of theologians. That idea WAS formerly a common OPINION of theologians — in the Middle Ages, before the Council of Trent, and before a modern understanding of human reproduction and development. Fr. Ryan falsely presents this idea as if it were doctrine, not opinion, and as if it were the present-day common opinion of theologians. Second, St. Thomas can be forgiven for thinking that original sin was passed on only by the active power of the male seed. He considered human reproduction to occur by an active role of the male and a passive role of the female, such that the human nature that is passed on is derived entirely from the male. So, given this erroneous understanding of biology, anyone might think that original sin could only be passed on through the male. But Fr. Ryan cannot similarly be excused, since he lives in the 21st century, not the 13th century. We know that half of the DNA of the child is from the mother, and half from the father. Now I’m not saying that original sin is in the DNA. But we know that the human nature of the child is derived about equally from the mother as from the father. In fact, more DNA is from the mother, since she contributes mitochondrial DNA, and the father does not. Given these facts of biology, no faithful modern-day theologian can conclude that original sin is passed on from the male only. To make such an assertion necessarily implies several serious doctrinal errors, which Fr. Ryan blithely ignores so that he may slavishly adhere to the theological opinions of the 13th century over those of today. This answer makes his position on this topic worse, not better. The Magisterium teaches that original sin is passed on by propagation because we are all descendents of Adam and Eve. When they fell from grace and lost original innocence, they attained to a fallen state in their human nature. Since we are all descendents of a fallen Adam and a fallen Eve, our human nature is just as fallen. But the claim that original sin can be passed on by the act of a physician, and never in any case from a fallen woman to her child, is incompatible with the teaching of the Council of Trent on original sin. For in effect, Fr. Ryan is claiming that original sin is not passed on from the bodies of the parents to the body of the child by propagation, but is instead passed on by an act, by the ‘active power’ of either the father or even a physician. This claim divorces the transmission of original sin from the fallen human body, and makes its transmission entirely metaphysical. The sin of Adam not only deprived Adam and his descendents of original innocence in the soul, but also changed the body for the worse. So the body of Adam and the body of Eve became fallen. And when these fallen first parents conceived children, not only did the children lack original innocence and sanctifying grace in the soul at conception, but they also had bodies from conception that were in a fallen state. The fallen bodies of the parents produced fallen bodies in the children. So the effects of original sin, in soul and in body, on Adam and Eve, also affect their descendents, in soul and body, from the moment of conception. If a father and mother are both in a fallen state, they can only conceive a child who is also in a fallen state. God creates the soul directly, at the moment of conception, but He does not give the soul the state of grace from conception; we must seek and find that grace in life. But as for the body, the offspring’s body is fallen because BOTH the father and mother have fallen bodies. Since the child’s body is NOT, as St. Thomas wrongly thought, derived solely from the father, then neither is original sin passed on SOLELY from the father. The fallen bodies of both parents contribute to the formation of the child’s body, and so original sin is passed on from both parents. “How did the sin of Adam become the sin of all his descendants? The whole human race is in Adam ‘as one body of one man’. By this ‘unity of the human race’ all men are implicated in Adam’s sin, as all are implicated in Christ’s justice. Still, the transmission of original sin is a mystery that we cannot fully understand. But we do know by Revelation that Adam had received original holiness and justice not for himself alone, but for all human nature. By yielding to the tempter, Adam and Eve committed a personal sin, but this sin affected the human nature that they would then transmit in a fallen state. It is a sin which will be transmitted by propagation to all mankind, that is, by the transmission of a human nature deprived of original holiness and justice. And that is why original sin is called ‘sin’ only in an analogical sense: it is a sin ‘contracted’ and not ‘committed’ – a state and not an act.” (CCC, n. 404). Notice what the Pontiff says. The original offense of Adam (the CCC says Adam and Eve) caused that human nature which is “common to all men” (i.e. including women) to be in a fallen state, bearing the consequences of that original offense, not only in soul, but also in body. Since human nature is fallen, then when human nature is propagated, the offspring must also be fallen. Original sin, according to Pope Paul VI, is therefore transmitted “with human nature”. Fr. Ryan’s claims on original sin are entirely incompatible with the teachings of the CCC and of Pope Paul VI on the transmission of original sin. For he does not allow that the fallen human nature of a woman can be transmitted to the offspring, not in the case of ordinary propagation — even though we all know from science that the child’s body is partly from the mother, not solely from the father. And he even opines that, if a human offspring were derived solely from a woman, that child would not inherit original sin from the mother, but somehow from the act of the physician — NOT from his or her human nature, as the Magisterium teaches. Fr. Ryan’s claim that: “original sin is passed on specifically through the active power of the male seed; hence, if a man were to be conceived of a virgin, and without male seed, he would be conceived without original sin” is incompatible with the teaching of the Church on the Immaculate Conception of the Blessed Virgin Mary and on the virgin conception and Incarnation of Jesus Christ. The purpose of the Immaculate Conception, in part, was to preserve the Mother of the Savior from original sin, so that she could not have original sin to pass on to her Son Jesus. The human nature of God Incarnate could not have original sin. Now God could have chosen to preserve Christ from original sin at his conception/Incarnation, but such a plan was not considered fitting by Divine Wisdom. So God chose to preserve Mary from original sin from conception. Another reason for the Immaculate Conception was so that the fault of Adam and Eve, who passed on the consequences of their sin to the whole human race, could be healed by Christ and Mary, who both were free from original sin, including all its effects in body and soul. This plan of God, to heal the sin of two persons, Adam and Eve by, the work of two persons, Christ and Mary, implies that the sin of Eve had an effect on humanity along with the sin of Adam. For Mary is the new Eve, just as Christ is the new Adam. But Fr. Ryan says otherwise. He boldly claims that “if a man were to be conceived of a virgin, and without male seed, he would be conceived without original sin”. Who could fail to notice that the man Christ was conceived of a Virgin, and without male seed. This claim implies that Mary need not have been given an Immaculate Conception in order to preserve Christ from original sin AND that, if Mary was a sinner, still no particular intervention of God (such as an Immaculate Conception for Christ) would have been needed to preserve Christ from original sin. This claim deprives the Immaculate Conception of one of its most important meanings, that God was preserving Mary from original sin in order to prepare for the virgin conception of Christ, so that she would have no original sin to pass on to Him. It was one method of seeing to it that the human nature of God Incarnate would not have original sin. And the claim that original sin cannot be passed on from a woman to a child further deprives the Immaculate Conception of a second meaning, that Mary has a role in healing the wound that Eve caused in humanity. For the claim that original sin is not passed on from any woman implies that the consequences of the sin of Eve were not passed on to the rest of humanity. This idea divorces the fallen state of Eve from our fallen state, and thereby undermines Mary’s role as the new Eve who atones for the fault of Eve. If she did not pass on her fallen state to us, then the meaning of the new Eve is much diminished. Fr. Ryan Erlenbush is currently assigned as parochial vicar at Sacred Heart Church, Miles City, Montana, in the Diocese of Great Falls-Billings. More about Fr. Ryan here. Gallery | This entry was posted in heresies, Magisterium. Bookmark the permalink. It would seem that Fr. 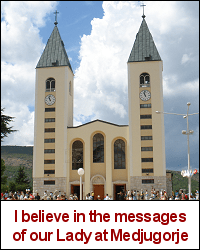 Ryan Erlenbush feels he can teach doctrinal errors because he has a license to do so: See the following excerpt from his response to a blog posted on TNM entitled: Blogs and the Vatican. Campion, As I read the Code of Canon Law, I notice that, although “books or other writings dealing with questions of religion or morals” cannont be used in official catechetical instruction or be distributed in churches without the approval of the Bishop (CIC 827.2,4), it is not necessary that all such books and writings be submitted to the Bishop if they are not intended for official use in the church (CIC 827.3). 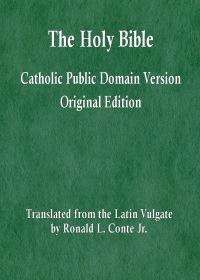 I would add, however, that the laity do not seem to be in the same situation … unless they are recognized by their bishop as having authority to teach the faith in their diocese, it is hard to see how they have fulfilled the Canonical “recommendation” to have all that they write about faith and morals reviews and approved by the bishop.